You can cut off (deadhead) each spent bloom at the base of the flower to tidy up the plant and to prevent any seed pods from developing. This will ensure that all the plant’s growth energy will go toward making a big, healthy bulb for next season. You can also clip the stem of the plant just below the flowering head, leaving all of the leafy part of the stem. It’s vital to leave as much green material as possible, since the plant is still growing actively after flowering and needs it’s green leaves to grow a strong bulb. In later Autumn, once the stem has turned yellow or brown and died back, it is fine to clip it off at soil level. 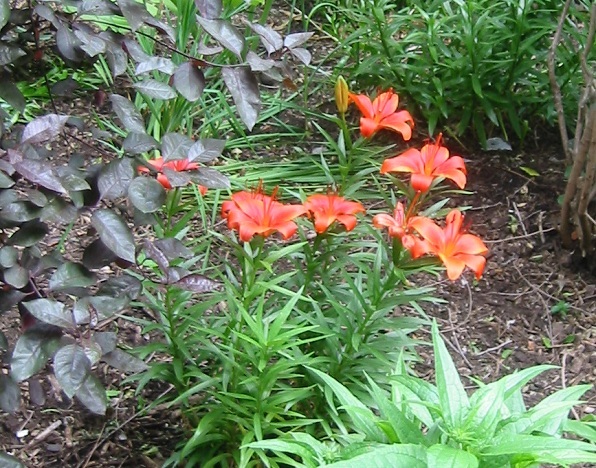 Lilies will gradually increase by division of the large main bulbs and by growth of small bulbs along the old below-ground stem. If the clumps that form become too thick to make large stems, lift and divide them in September or October.